Tuesday 23rd September 2014 – 12.10pm – Chris Kowalik. A driver is considered lucky not to have been injured after his car hit five cows that were crossing a main road in rural north Staffordshire. West Midlands Ambulance Service was called to the A51 at Stableford shortly before 7.25am today. A West Midlands Ambulance Service spokesman said: “A car, driven by a man in his twenties, had collided with five cows all of which died. “The car was badly damaged, its driver was shaken but otherwise uninjured. 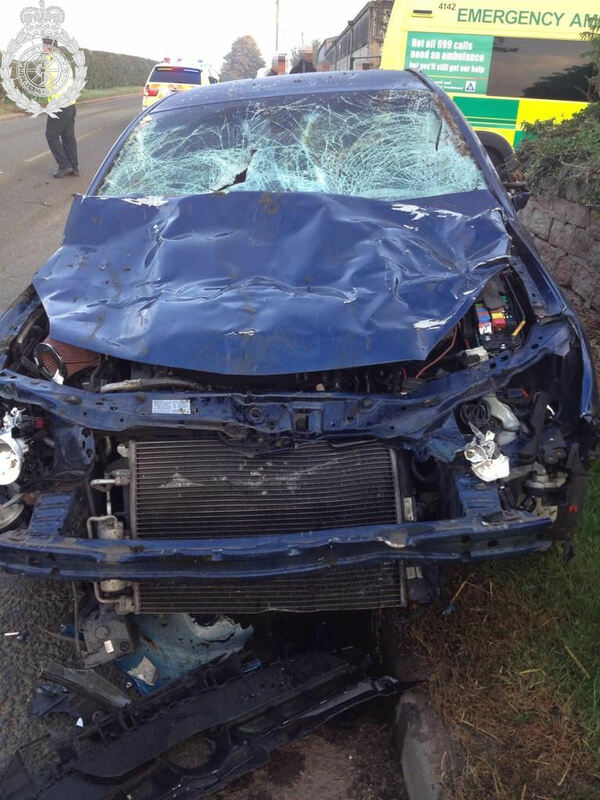 Crews felt that had a cow gone through the windscreen, he could have been killed.